Nicola Sturgeon has said the “eyes of the world” will be on Scotland today as a minimum alcohol unit price is introduced for the first time. 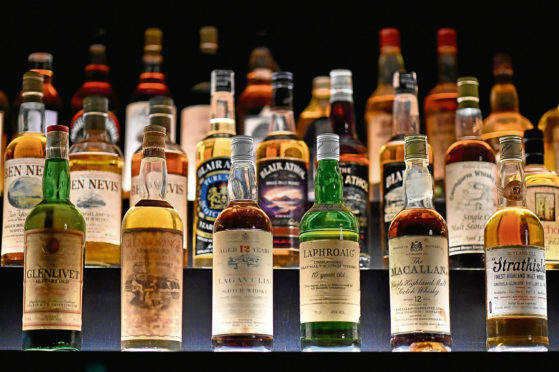 The 50p-per-unit scheme was passed by MSPs five years ago but it was only given the go-ahead by the Supreme Court in November after a legal challenge by the Scotch Whisky Association was rejected. The move aims to tackle the damage caused by cheap, high strength alcohol, and research shows it could save 392 lives over the next five years. It will mean that a pint of beer containing two units will have to cost at least £1, a nine-unit bottle of wine will be a minimum of £4.50, while a standard bottle of whisky must cost at least £14. Health campaigners in the north and north-east have backed the initiative, with 110 people in Grampian dying in 2016 as a result of alcohol, the highest rate since 1979. And calls are growing south of the border for England to follow Scotland’s lead on the issue. Speaking during a visit to a hospital ward treating patients with chronic liver problems, Ms Sturgeon said: “I am extremely proud that the eyes of the world will once again be on Scotland with the introduction of this legislation. Scottish Liberal Democrat leader Willie Rennie said the minimum price should be higher than 50p. “While this legislation will help to discourage the misuse of alcohol, inflation eroded the value of the original minimum price during the years that this policy has been caught up in the courts,” he said. Scottish Conservative shadow health secretary Miles Briggs said: “This is new territory and we need to analyse what effect this will have on consumer behaviour.